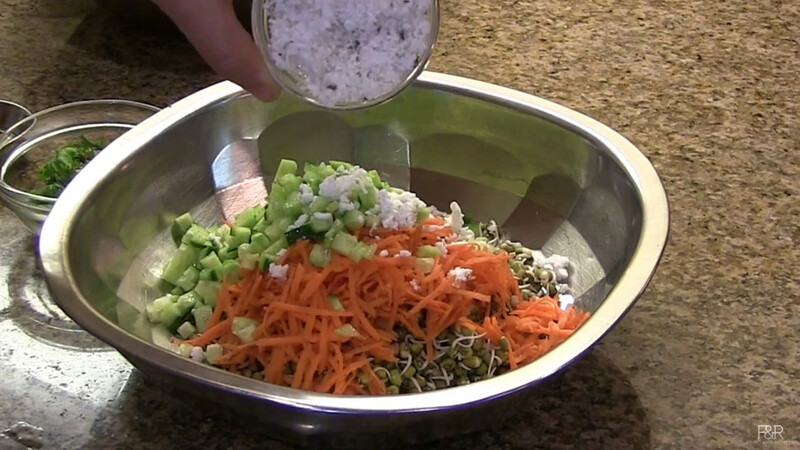 Here is the step by step instructions for the sprouted mung salad /Kosambari. 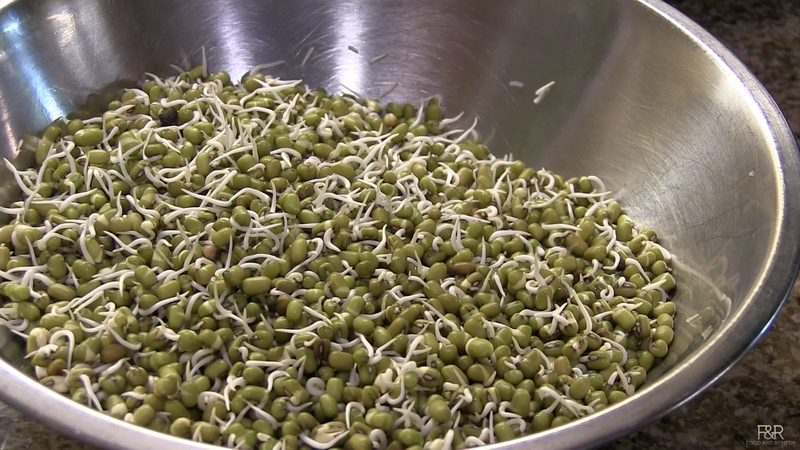 Keep 1 cup sprouted moong beans ready. 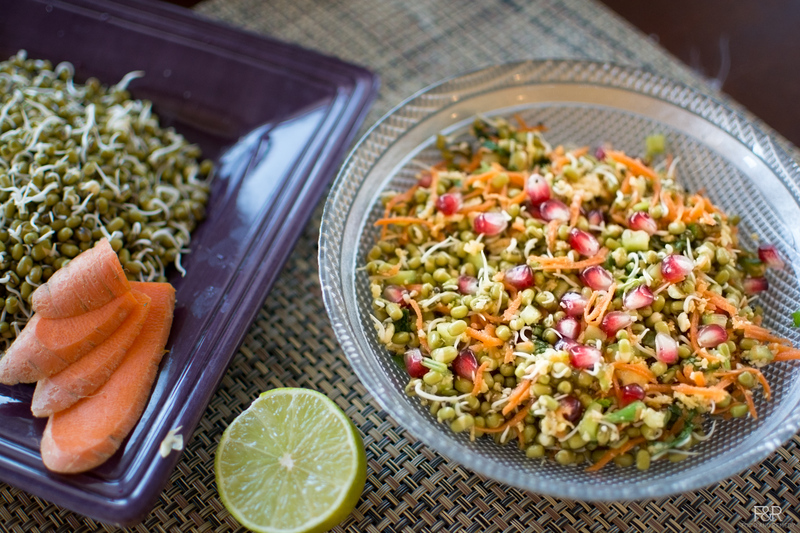 Take sprouted moong, carrot, cucumber, chopped cilantro, along with coconut and salt. Mix it . Prepare the seasoning. 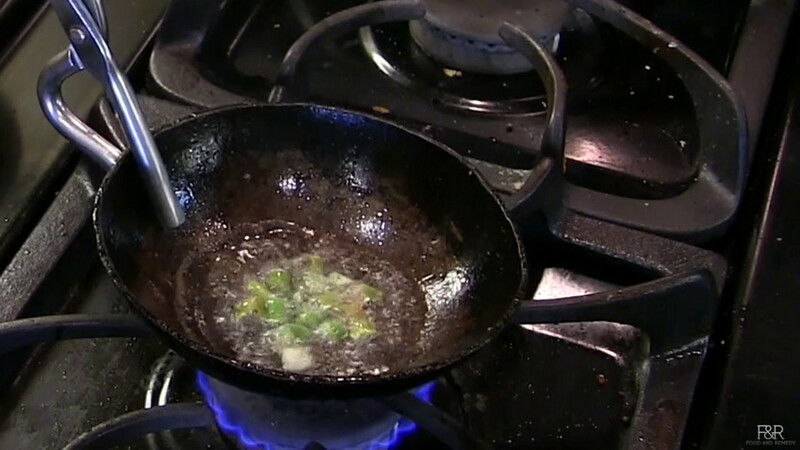 Heat 2 tsp oil in a ladle. Once it is hot enough add mustard seeds and hing (optional). Once the mustard seeds pops, add cut green chillies and turn off the heat. Add this seasoning to the salad and mix it. 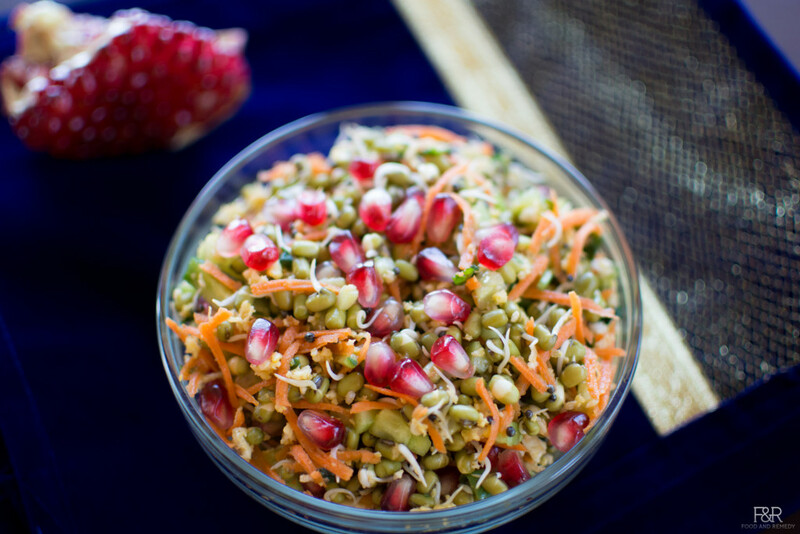 Finally add the pomegranate and mix. 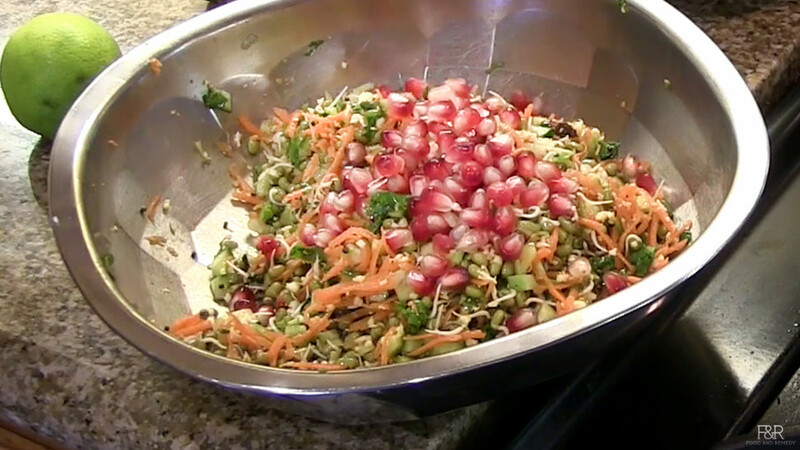 Healthy Sprout salad is ready to munch.